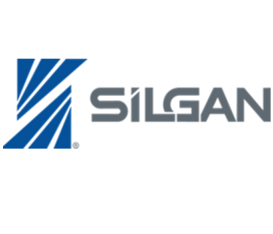 The Client: Silgan is a Connecticut-based American manufacturing company that is comprised of several subsidiaries, including Silgan Containers, Silgan Dispensing Systems, and Silgan Closures. Silgan is a leading supplier of packaging for consumer goods products, specializing in metal containers, metal and plastic closures and dispensing systems, and plastic containers. Many popular brands utilize Silgan’s products, including Campbell’s Soup and Friskies Pet Food. The Problem: Before its acquisition, Silgan Dispensing Systems employees used an SAP LMS for safety and compliance training. The company needed to move 400 users and 800+ courses without losing completion records or breaking training productivity. Some courses required observation of a performed task, and the new LMS would need to keep accurate records of live instruction and observations in addition to its standard eLearning training. The Solution: iLearnERP coordinated Silgan’s Cloud LMS application and the team smoothly transferred all courses along with employees and their associated user history for continued tracking. iLearnERP also provided training onsite, through independent learning, and via webinar classes. To smoothly implement the new Cloud LMS, iLearnERP analyzed course assignments, created teams based on job roles, linked content, and created a process for easy onboarding of new employees. All Winfield Dispensing Systems users were trained on how to use the new Cloud LMS and 20 Admin and Team Leaders were trained on its back-end functionality. Because time was of the essence, this solution was completed in just 5 weeks.